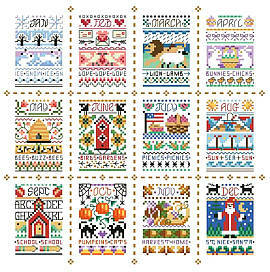 If stitching a full size traditional sampler seems too daunting, try stitching 12 tiny samplers instead. 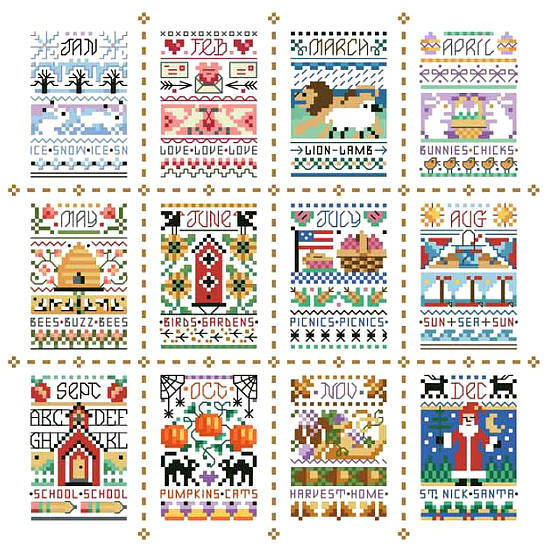 These adorable and charming little samplers fit the seasons and each month of the year and look fabulous as a grouping consisting of all twelve. They would also make great birthday gifts, stitched up on cards, bookmarks or in small frames for that special friend. Contents: Stitch Count: 139w X 138h. Finished size 14Ct: 10" X 9-7/8"